Wondering "how to check my credit report?" The following information provides you with sources that enable you to easily access your credit history and review your financial status. In addition, looking at your credit report at least once a year will keep you apprised of possible identity theft so you can take immediate action to protect yourself. If you are a U.S. resident, the best place to order your report is AnnualCreditReport.com. This site is the only government authorized source that provides a free credit report, once a year, from each of the three major reporting bureaus. The three credit reporting agencies are Equifax, Experian and TransUnion. They maintain a file with your complete financial history, which is provided on request to prospective lenders and other approved entities. For more information about these reporting agencies, click here: Credit Reporting Bureaus. When you are ready to review your credit history, go online to AnnualCreditReport.com. Then, complete the form to "check my credit report" and follow the prompts. Your reports will be available instantly to view, download and print. Be sure to look at your credit information from each of the three agencies, Equifax, Experian and TransUnion, since what appears in your credit history can vary from one reporting bureau to the next. Here's why... Your creditors and financial institutions may not always submit data to all three agencies. Therefore, you will want to review each report for accuracy. If you find something amiss with your financial information, advise the appropriate agency right away. Instructions on how to report credit report errors and potential fraud are provided online on each bureau's website. If you want to "check my credit report" more than once a year, you will likely need to pay for the additional copies. There are online companies that sell credit reports and related products. Or, you can secure additional copies for a nominal charge from the major reporting bureaus. Just go to their websites (see addresses above) and request a copy of your credit history. 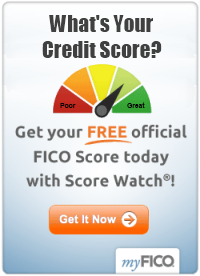 Yet, if you are denied credit from a lender, you are legally entitled to a free credit report within 60 days. Information on securing a free credit report, in this instance, will be provided by the lender that denied your request for a loan or line of credit. For more information about credit reports, please see the related articles below.